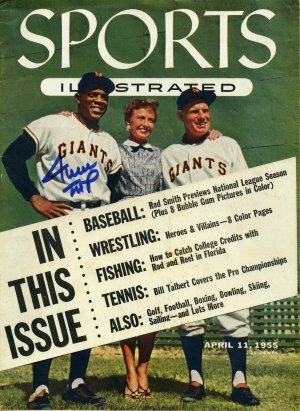 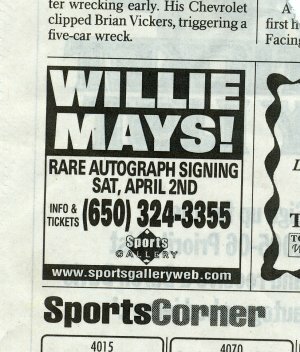 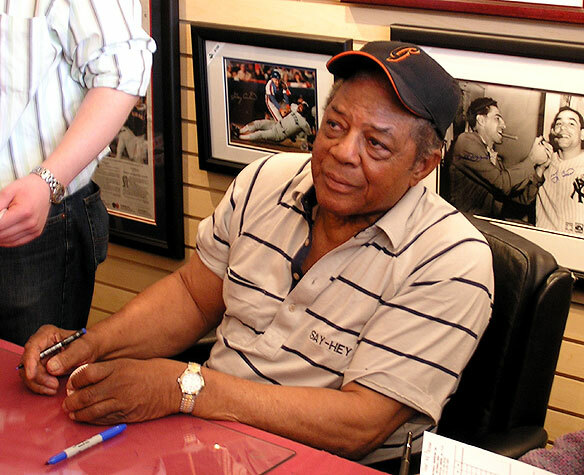 Willie Mays signed for me at the Sports Gallery in Palo Alto, California on April 2, 2005. 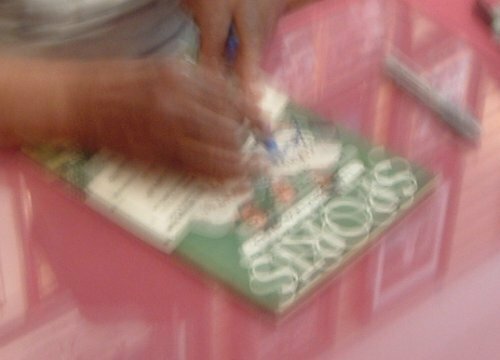 Willie ask us not to use flash photography so all the photos came out terrible. 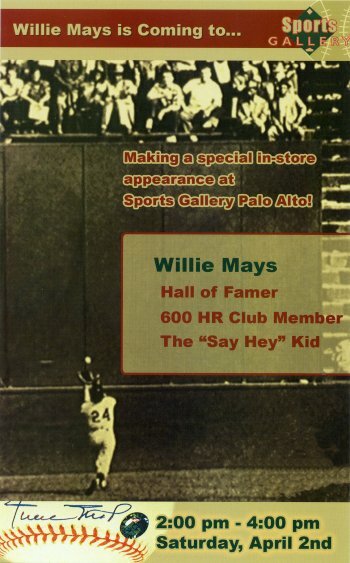 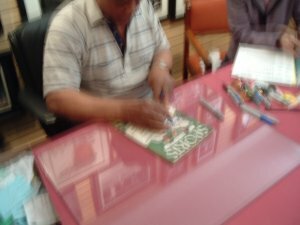 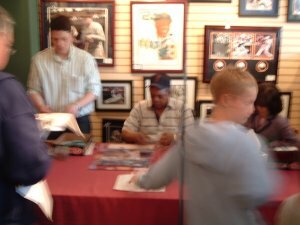 Here is a link to some photos that actually came out from the signing with Willie Mays in Palo Alto, California.